Proteolytic enzymes are ubiquitous in occurrence, being found in all living organisms, and are essential for cell growth and differentiation. The extracellular proteases are of commercial value and find multiple applications in various industrial sectors. Although there are many microbial sources available for producing proteases, only a few are recognized as commercial producers. A good number of bacterial alkaline proteases are commercially available, such as subtilisin Carlsberg, subtilisin BPN′ and Savinase, with their major application as detergent enzymes. However, mutations have led to newer protease preparations with improved catalytic efficiency and better stability towards temperature, oxidizing agents and changing wash conditions. Many newer preparations, such as Durazym, Maxapem and Purafect, have been produced, using techniques of site-directed mutagenesis and/or random mutagenesis. Directed evolution has also paved the way to a great variety of subtilisin variants with better specificities and stability. Molecular imprinting through conditional lyophilization is coming up to match molecular approaches in protein engineering. There are many possibilities for modifying biocatalysts through molecular approaches. However, the search for microbial sources of novel alkaline proteases in natural diversity through the "metagenome" approach is targeting a hitherto undiscovered wealth of molecular diversity. 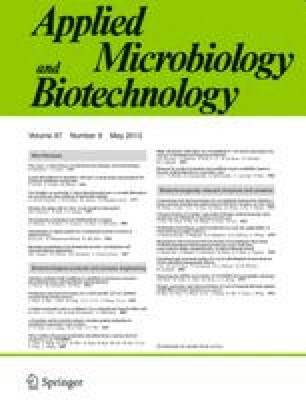 This fascinating development will allow the biotechnological exploitation of uncultured microorganisms, which by far outnumber the species accessible by cultivation, regardless of the habitat. In this review, we discuss the types and sources of proteases, protease yield-improvement methods, the use of new methods for developing novel proteases and applications of alkaline proteases in industrial sectors, with an overview on the use of alkaline proteases in the detergent industry.